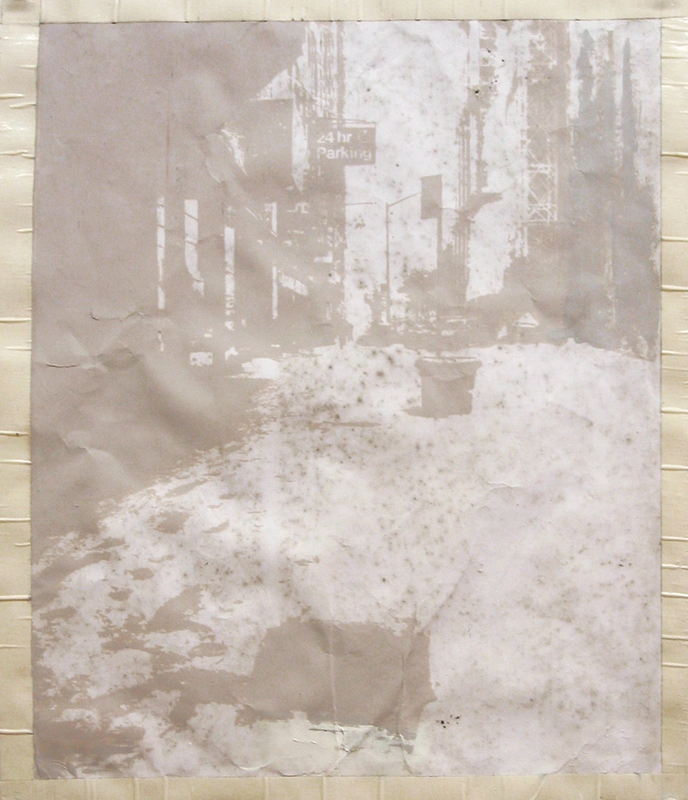 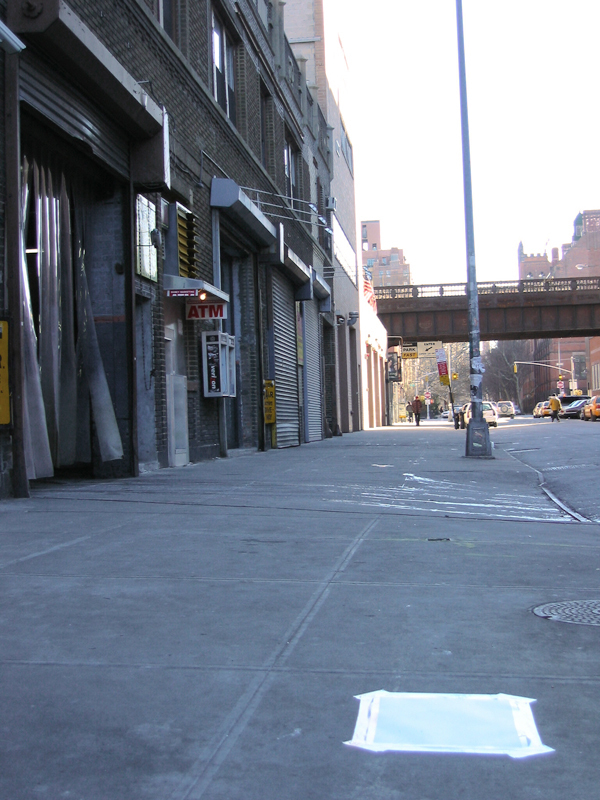 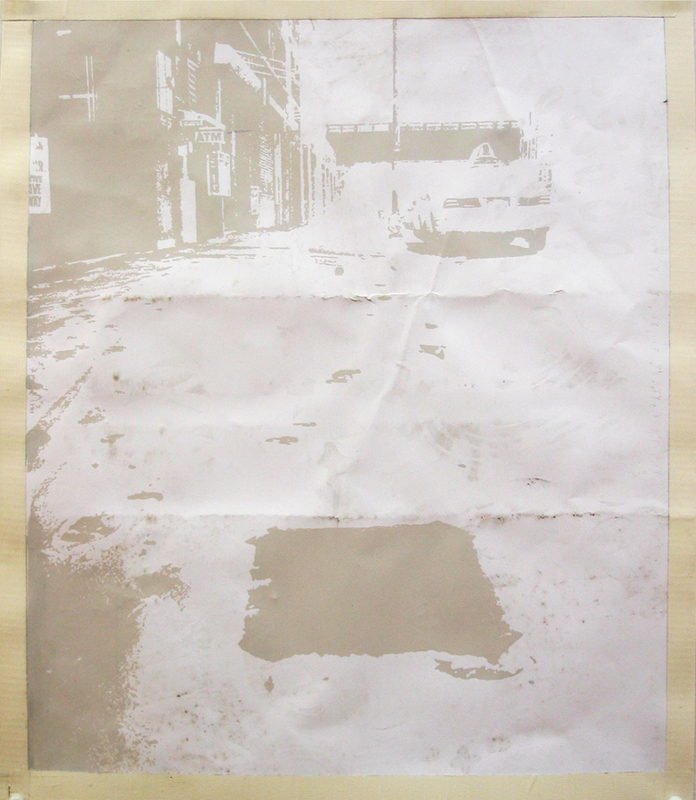 Sheets of paper attached to the sidewalk between avenues on 21st Street in Manhattan, stains and silkscreen on Strathmore paper (36x43 cm). 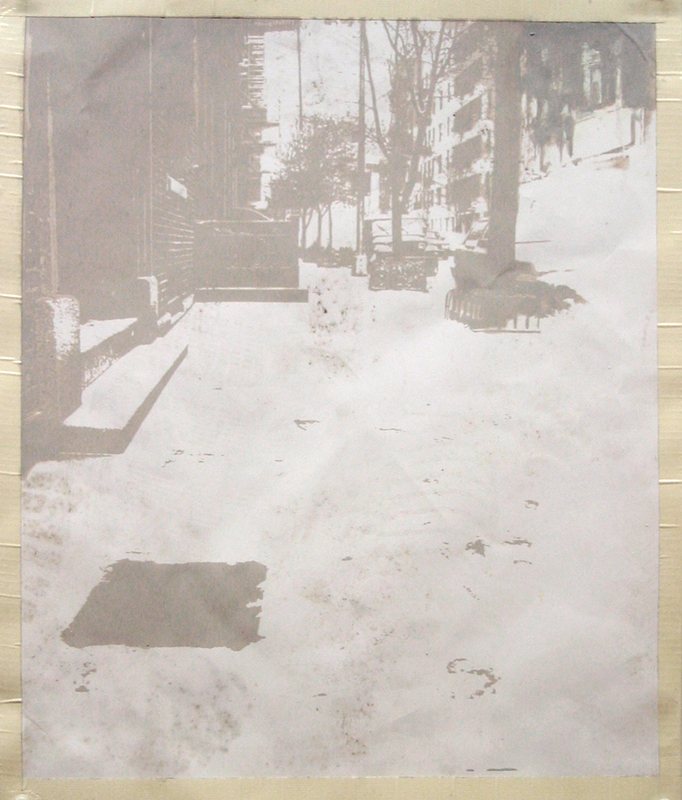 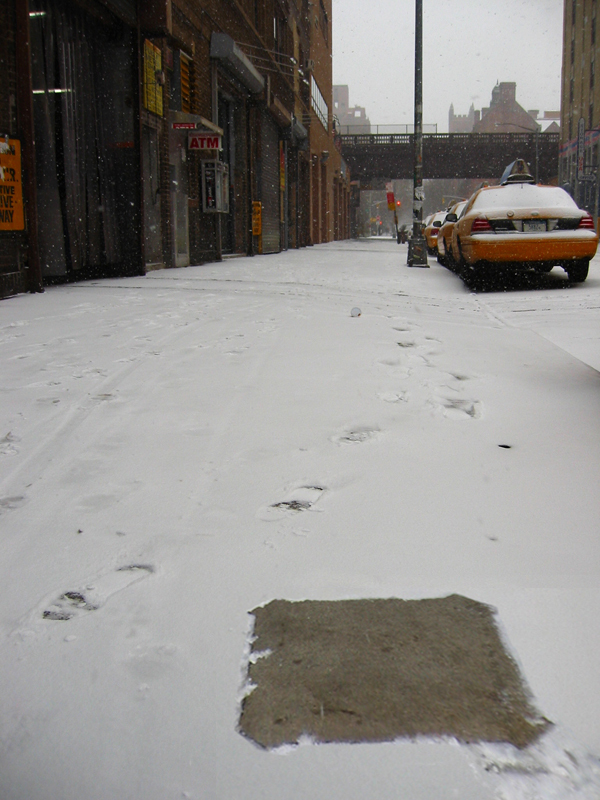 After 24 hours, the sheets left clear marks in the snow, photographs were converted into silkscreens and printed on the corresponding sheets of paper. 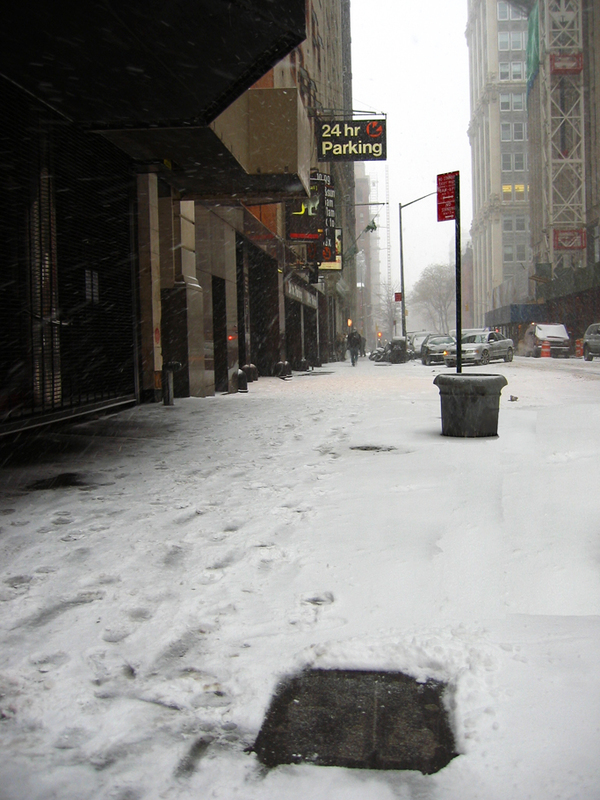 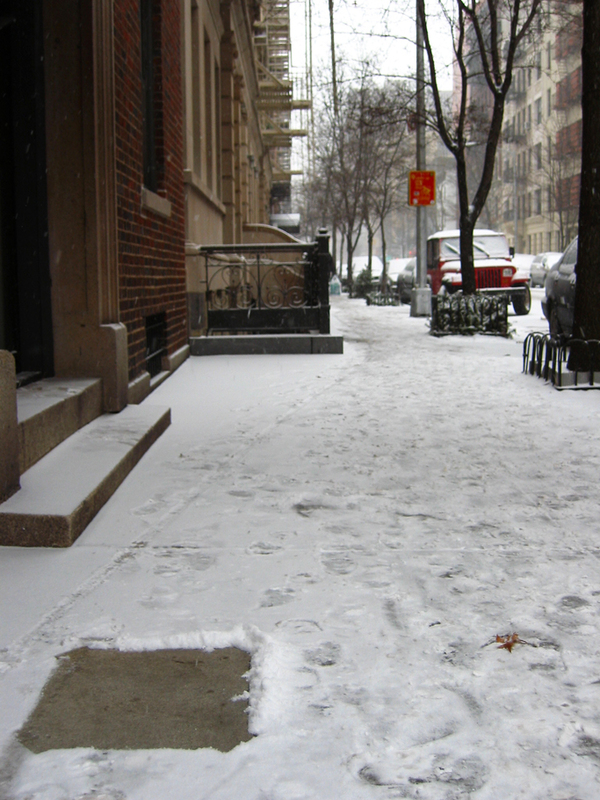 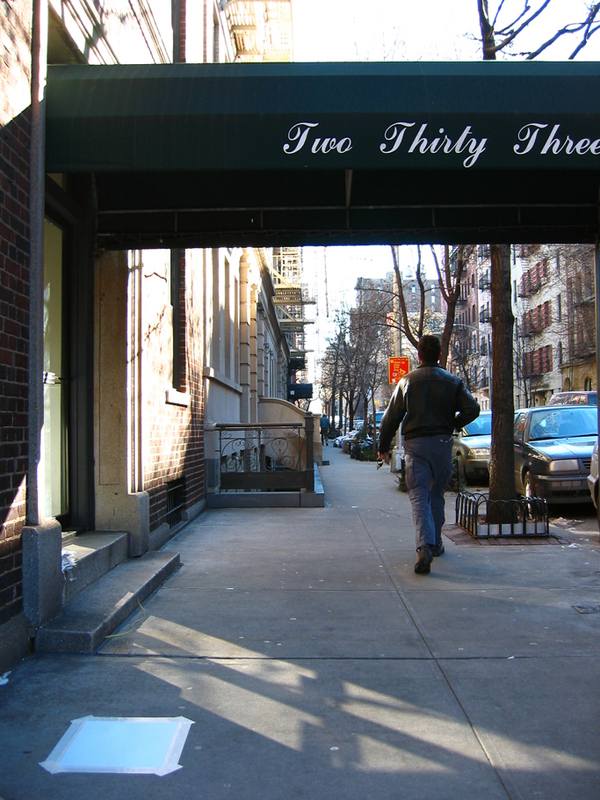 The images below were taken between 10th and 11th Avenue, between 7th and 8th Avenue and between Broadway and Park Avenue.